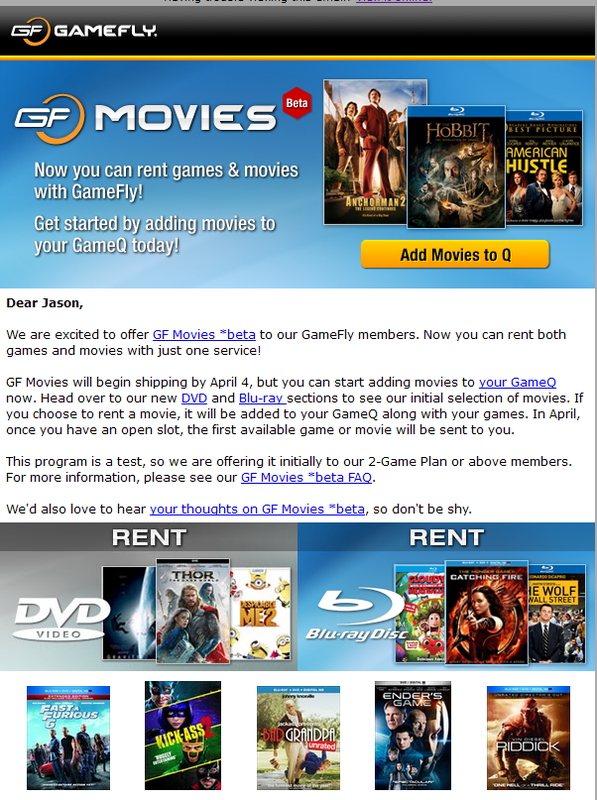 Interesting they've decided to go after this market after Netflix decided to not get into game rentals. They're probably just leveraging existing distribution channels and figured they can lower the cost per piece on what is probably a dwindling rental games business. I bumped the other GameFly thread, didn't really think to make a whole new topic. As I said in the other thread though, I like the idea. There's definite lulls in new game releases where I end up keeping a game I've finished for far longer than I need to just because nothing new is coming out for me to send it back for. Movie rentals during that time are a perfect way to get some more value out of the sub. I really hope they sell used blu-rays for as cheap as they do used games. This could be another solid avenue for cheap movies.